You are going to begin seeing some changes to the website that are intended to make your trading life easier. Hopefully the changes will be easy to understand. Rather than sending emails, the updates will be able to be viewed here along with an implementation date. 7/26/17 - Today, Windows Defender reported that the link to the new interactive system, "MEMBER SWAPS" was unsafe and recommended that viewers not continue on to that page. That page was on a different server from the rest of JPSE. For that reason, the link has been disabled until it can be secured and replaced. We will have to go back to using the old system of manually sorting through members and library puzzles. Fortunately, these pages have been kept up to date in the event that a situation like this did occur. We're sorry for the inconvenience and are working on a repair for this problem. 6/29/17 - Because puzzles with missing pieces are such a big problem we have been forced to make some policy changes that you will see immediately upon the next puzzle swap that you initiate. Specifically, there is a new line item regarding missing pieces. 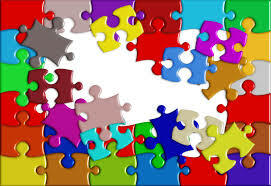 Effective immediately, members who initiate a puzzle swap with a missing piece to a member who is not willing to recieve missing pieces must declare the swap a DONATION. The reason for this is because the returning member must then send back a puzzle with a missing piece AND the members that they can send the defective puzzle on to are severely limited. Even if the member has requested a library puzzle, YOU MUST CHECK the recipients list to ensure that they are willing to accept missing pieces or not. If not, do not send it to them. Please review the policy on Missing pieces on the FAQ's page. 6/28/17 - The member preferences form has changed. If you would like to help other members find suitable puzzles that you may like to receive, you can adjust your preferences with the new Preference fields. There are three new fields on the form. One to list Brands that you most like to work. The second to list the themes and types of puzzles you enjoy. The third states the work space you have available. If the width of your table/space is 36", you will want to set this feature to between 30 and 36 so that members do not send you puzzles that are too large for your workspace. You may have noticed that the processing is taking a bit longer than normal to accomplish. This is due to the extra files that must be maintained to keep everything current. You can help by making sure all forms are completely filled out and submitted timely (within 24 hours of mailing). Additionally, returning puzzles before the the 2 week date helps keep notices from being sent out. If you have a Check-In Requirement, please make sure that you let us know when the puzzle is delivered. 6/24/17 - A new bulk library donation submission form has replaced the previous form. This new form incorporates the new comments and keywords lines to help in the advanced puzzle search function. You can download the form at Bulk Puzzle Donation Entry Sheet Please fill in as much information as you can. Remember to take your photos horizontally (not vertically) and send them to the correct email address, along with your completed spreadsheet. Photo and Files send to the JPSE email will get kicked back due to size and will fill up the email box quickly. We get more than 100 emails per day, your assistance with this is greatly appreciated. 6/13/17 - On the RECIPIENTS tab is a link for MEMBER SWAPS. One of our members, R Zuffante, has created some tools that should help you select members that are looking for puzzles you may have to swap. This is an interactive page temporarily located on a different server. You can search for puzzles, members, based on the number, or partial name. There are buttons for NEW PUZZLES, NEW MEMBERS, and ADVANCED SEARCH, which returns all sorts of information. Once on the Member pages you will see a breakdown of the member's preferences, their timeliness and quality ratings, the puzzles they want, the ones that they don't, and the ones that they currently may have, (based on previous swap history) and the information that has been provided recently. Below that, is their swap history for 2017 along with the status of the swap. Each puzzle in the library can be accessed by the link below its photo. Additionally, on the puzzle's page, gives the characteristics of the puzzle and the names of those who want it (as a link to their page) and a list of those who do not, and finally a swap history of the puzzle for 2017. If you have any problems, please submit an email with as much information as possible so that it can be duplicated and corrected. NOTE: If your name does not come up, you are not currently in active status. 6/12/17 - The LIBRARY tab now holds the only library you will need. The MEMBER'S LIBRARY! The other library links will still work so that you can use those for one puzzle requests. The new library is for trading members only. Any requests that are received by those outside that category will be deleted. One this page is a new form for you to be able to request multiple puzzles in three categories, The ones you want, have, and don't want/have had. Each line is limited to 40 puzzles. Use another form submission for larger quantities. Keeping this up to date will help keep puzzles you want, coming your way! Over the past couple of weeks two members have been suspended for non-compliance and one more is in jeopardy of suspension. It is disheartening when a member initiates an exchange with a new member and gets nothing in return. Of course, they get 10 rating points rather than 5 but realistically, that isn’t much considering the cost of the puzzle and shipping cost, and then 30 days later, disappointment. This past week we have taken the position that if you are the first member to initiate a swap with a new member, in addition to the 10 points, we are offering a guarantee. If the member does not return a puzzle to you, we will return one up to 1000 pieces on their behalf. This should take some of the sting out of swap and encourage more members to initiate with new members which should be happening. We have 7 new members waiting for their first exchange and we really should not have but one or two at any one time. One word of caution – Make sure that you check the recipients list BEFORE going to the post office because as soon as the swap shipment form comes in, the new members name comes off the list. The bonus points and guarantee will no longer be available. You should also file that shipment form immediately because if another member beats you to submitting the form, the guarantee will apply to them along with the extra points. The way this will impact the New member will also be different in the sense that they will now owe the “exchange” the replacement puzzle. Their membership will be suspended until the exchange receives the replacement puzzle. As many of you have already realized, the USPS has significantly increased their rates. A small Ceaco 8" x 8" puzzle could be mailed a year ago for $7.67 and now is $9.32 or so and that is ground or Parcel Post service. For about 50 cents more you can upgrade to Priority Mail. I used Parcel Post all the time. I don't much care that it takes an extra day or two and I'm sure many others don't either. What I did not realize is that if the parcel is not deliverable and sent parcel post, it may not get returned to the sender and it may get charged Postage Due. In that event, one should use Priority Mail. The benefit of Priority Mail is that they make these free boxes that you can get at your local post offices that come in several different sizes. A couple of these boxes are the perfect size to mail a couple of small puzzles for a flat rate or the larger White Mountains. An additional benefit is that these boxes protect your puzzle box from getting crushed. A while back I had said that wrapping the puzzle in brown paper was acceptable. Unfortunately, after about two shipments in this manner, the box looks like an elephant had sat on it. Then on the older Milton Bradleys and Big Bens, the seams start to split. Each time a puzzle is received the box should be checked and if reinforcement is needed, it should be taken care of at that time. The only way to reduce the stress on puzzle boxes and the expense of shipping is by attending a Puzzle Swap Meet. These are held quarterly in select areas where two or more members have expressed interest in swapping face to face. The location selected is the most secure place we can find and generally a location centrally located between the members so that no one member has to drive more than anyone else. If you want to save money on postage, you should plan to attend the next one on July 15 in your area. April brought the second Puzzle Swap Meet of the year. There were no official swaps and I'll explain why. On March 25th I wrote and sent the email newsletter below. I identified four interested members and four potential swap locations. I requested that anyone interested in attending a puzzle swap meet should registed by Apr 12 so that the event could be scheduled, passes and instructions could be mailed, etc. in time for the event. Only two members sent in registrations. One was a duplicate of the four mentioned in the email, the other, for a new location but with date and time issues. Therefore, we did not get the two required registrations for any of the four locations and no swap meets were officially held. I say officially, because later that day I was advised of one that actually did take place. This can be a good thing or a bad thing, depending on how you look at it. Good for the members that attended, bad for any other members that wanted to. We currently have over 200 members, yet I heard from five. That tells me that this program, the date, time, etc. is not what you all want. I am going to re-design the program before the next swap on July 15. The registration form is still available for use. If you are interested in attending, I need to know. So please use it right now, while you are here. Otherwise the program will be terminated before the end of the year. - Over the past weekend, I reflected back on the amount of time that I spend working on the website, processing swaps, updating the transit board, adding puzzles into the library, answering questions, resolving disputes, developing new lines, tweaking and refining this program (which is the first of its kind on this size scale) and thought "the rates are too low" especially for the hours I put into maintaining it. I looked at membership rates for other things, services, hobby sites, etc. and not only found that they were to low, they were "ridiculously too low". People spend hundreds and thousands of dollars on hobbies. Not that I'm going to increase it to that but I would venture that everyone here could rummage through their sofa or car for $1. per month. I know that on my meager income, I could do it. In addition to a rate increase, I added a two year membership rate that is 10% off the 1 year rate, the 5 year rate has even larger discounts, especially on the renewal rate. The rate increases were implemented immediately. - Of our 200+ members, 44 members are on hold. Several of these members have been on hold for months. If you do not plan to renew or come back to swapping, we have a new feature on the Change preferences form and that is the addition of the Cancel Membership button. It is located in the membership options where you choose the type of swap you want to do or place a vacation hold. Refunds on membership fees are not available. - Once you have completed your first swap, you are allowed to increase the number of puzzles that you recieve in a shipment. The options are now Only 1, Up to 2, Up to 3, Up to 4, Up to 5. Because of the postal rate increase it is more economical to send more than one puzzle at a time, especially if you can fit it into a Flat Rate Priority shipment. - Many people have been confused by the terminology of Donating to the library. This is the equivalent of adding your puzzles to the library. The reason we do this is so that members can choose the puzzles they want to receive. It simply means that you upload the details of a puzzle you have available to trade to the library and apply an ID # label to it. Once it is requested and you mail it off, you will probably never see it again, but you will have a different puzzle in its place when the other member returns it to you. We’ve had a pretty busy three months. Lots of puzzle swaps and a tremendous number of new puzzles donated (added) to the library. Currently, there are 64 puzzles that have been added in the last 30 days. If you would like a fresh supply of puzzles, visit the newly added library as these puzzles are waiting for you to request that they be shipped to their next destination. Usually, these puzzles are mailed within a week of request. So the majority are available NOW! Tempe, AZ, Miami, FL, Oldsmar, FL, and Brooklyn, NY. If you are close to any of these locations and would like to attend, please file a swap meet registration as soon as possible. If you are in another area and would like to attend, please choose a swap meet location at this time. The deadline to register is Apr 12. You will then receive your event pass once we have at least two members attending that location. Recently we have made a change on the forms that allows members to specify how many puzzles they have to trade and to request labels. When their membership is processed, we send off that number of Library ID labels and a few extras to them by mail. These labels are to be used when you add a puzzle to the library. There has been some confusion in the terminology and I’d like to clarify it at this time. When you trade a puzzle, you are basically donating it to the membership as you will probably never see this puzzle again. Because we have several members that like to choose the puzzles they get, we would like for you to add (donate) them to the library. We send you the labels when you join so that you can do it at your convenience. There have also been a few instances where labels were placed on puzzles and they were sent out without the details of the puzzle being reported. This has created a big problem in the library. You must add the puzzle to the library by one of the three methods (Regional Librarian, Online Form, or Bulk Submission) prior to placing a label on the puzzle box. Do not place a label on a puzzle without getting confirmation of the puzzle being processed and because there are more than 550 different puzzles in the library, there are bound to be duplicate copies. Please do not choose your own number to assign to a puzzle. At this time, we are looking for puzzle ID’s 1211, 1219, 1806, and 1835. If you have one of these puzzles that has not been properly added to the library, please add it using the online form or send it to a regional librarian to enter for you. We also need more librarians. If you are interested, please sign up. You must maintain a Timeliness and Quality rating of 5 and be able to accept all types and sizes of puzzles. Another clarification we need to make is for the category LIBRARY PUZZLES ONLY. This has recently been changed to appear as REQUESTED LIBRARY PUZZLES ONLY. These members want to choose the puzzles they get. Any member with this notation on the recipients list should not be sent a puzzle that they have not requested. To find which puzzles these members want, you should use the REQUESTED PUZZLES link on the menu bar and either search the Requested by column or find the puzzle ID for those that want it or do not want it. If you have a library puzzle, you should always check this prior to mailing it. I recently received a request to add a column for Large Pieces. Unfortunately, the page is so large that it can be difficult to view. Adding more columns will compound the difficulty. Therefore, folks that require assistance or have special needs, should update their preferences to include special needs so that other members can identify those needs prior to mailing a puzzle to them. The special requests page will soon be eliminated. If you are listed for special requests, you should change your preferences to Library puzzles only and then make your selections from the library. We have found over the years that members do not check the special requests page prior to sending puzzles and for that reason, it will be discontinued in the near future. Puzzles being sent with missing pieces is still a big problem. Any puzzle missing more than one piece should be either thrown away or sent to a Donations only member and taken out of the library system. Make sure you record it on the journey sheet when it is found missing so that there is documentation to that effect. Please make sure all pieces make it into and out of the plastic bag. If you receive a defective puzzle, make sure you file a dispute form. This way we can correct the issue. Remember, in order to earn points and keep them, you must file a shipment notice with a tracking number. Without these, the program becomes difficult to manage for everyone. We currently have three members in jeopardy of suspension, due to not swapping as agreed and not filing the proper notices. If you have questions, please review the FAQ’s page or ask. The system is so simple to use, but it requires everyone’s cooperation to keep it working properly. Send in those requests for new puzzles and register for the next swap meet today if you have any interest. Over the past couple weeks we have had a lot of new members join and there have been a lot of less than desirable swaps that have take place. So before bad habits get any worse, let’s have a refresher to explain the rules and the whys they are in place. These are what you chose when you joined or changed your preferences. They should reflect what you currently have in your collection. Let’s say you check every box but you only have 500 to 1000 piece puzzles. Then a member sends you a 1500 piece puzzle. Now you have a problem because you don’t have one to send back. While we don’t expect anyone to go out and purchase a puzzle, we do expect you to return a comparable puzzle. So it starts with having your preferences set correctly at all times. When you choose a swap partner, make sure you send a puzzle that fits within their preferences. If not, it will earn you an infraction and possibly a lost puzzle. If you receive a puzzle outside your preferences, you should file a dispute form. This is the worst problem of all. Our rules state that only puzzles with no more than ONE missing piece may be traded and then, only to a member willing to receive them. A puzzle may not contain more than one missing piece. If it does, you have some choices. Throw it away, Send it to a donations only member, or drop it off at a Senior center or fire station. Puzzles with a missing piece should also be noted on the journey sheet before you write your name on the sheet, this lets us know who found the missing piece issue. Additionally, the location of the missing piece should be circled on the box and noted there as well. On a side note, there are members that request library puzzles that do not want missing pieces also. Just because they have requested a puzzle, do not mean you can send them one of the copies that may have a missing piece. I just picked up a duplicate copy of the White Mountain Games We Played that has a piece missing. I’m sending it out into circulation but I have to verify that the member I send it to, does not want missing piece puzzles. Some folks have an issue with things that can’t be completed. For them it is a real problem. A few weeks ago, I opened up a very nice 2000 piece puzzle. The weather that weekend was bad and we spent an entire Sunday working on this puzzle. About 150 pieces from completion, it became obvious that there was at least one piece missing. The previous recipient was blamed, the cat was blamed, a lot of ranting took place. At that point, my help got up and walked away declaring never to work a puzzle again unless it was brand new. I finished the puzzle by myself and noted the missing piece as is required. But now I am stuck with a puzzle that three people have requested but no one wants a puzzle with a missing piece. So now what? I’ll be sending it to a member that does not mind a missing piece that likes larger puzzles. My point is, you need to make sure that you send the right kind of puzzle to a member when you initiate a swap or return one. Yes, it takes a little more time, but is absolutely necessary to the success of this program. I’ve heard from a few members that received puzzles back and they said point blank, I don’t want to cause a fuss, or get anyone in trouble, but I won’t ever trade with that person again because of the quality of the puzzles they send. Missing pieces, full of hair and debris, not the right size. When you get a puzzle that does not fit your preferences or is defective, you need to report it. Otherwise, the sending member will continue the bad practice. The dispute form can be found in the main menu under the swap forms. A dispute affects your quality rating points. You can never increase your rating of 5, you are awarded that with your first swap, each time you send a sub-standard puzzle, you can lose a point. You are given one option to replace the puzzle and not lose a point. Here are how they work. When you initiate a swap and send the wrong puzzle and the recipient files a dispute, you have the option of sending a replacement puzzle to keep the swap open or consider it a donation in which the recipient will not return one to you. You do not lose a point, you lose a puzzle. When you return a puzzle in a swap that is not comparable or does not fit the senders preferences, you have one opportunity to replace the puzzle or take a 1 point reduction. It is your choice. If you take the one point reduction, the point is gone forever. For those members that look at timeliness and quality ratings when choosing a member to swap with, this could potentially cost you future puzzle swaps. Hopefully this information has been helpful. It will be posted on the Newsletters page. If you have questions, please do not hesitate to ask. Better to take an extra couple of steps and be safe than sorry. As we predicted, January was indeed a good month. We’ve had 19 new members join, and 12 are still waiting to receive their first puzzle swap. 57 new puzzles have been added to the library. Just yesterday, we hit our 1900th puzzle swap (if you remember it was just before New Years Eve that we reached our goal of 1800). Members receiving this notice are not currently on the ‘Will swap’ Recipients list. You are in one of the following statues, to return to active you must follow the procedure. 2 members - Pending Expiration – You must renew your membership. Your renewal begins on the expiration date, not the date on which you renew. New puzzles stay on the Newly added list for 30 days to give you ample time to make your requests. The first member that requests a newly added puzzle has their information sent to the donor so that the puzzle can be initiated right away. Yesterday, 4 new puzzles went into the mail. So the longer you wait to request them, the longer you will wait to receive them. If you are on Facebook, you can keep current with newly added puzzles, make sure you use one of our Facebook like links on the pages. When we accumulate 4 new puzzles in the library, we make a post to our Facebook page with photos which will be published on your page as well so that you can make your requests. The Library program has been very successful. We are getting more and more members who are requesting to only receive Library puzzles so that they can choose the puzzles they want. We request that you keep library puzzles moving to members. When you are finished with one, send it on to a member who has requested it or send it to a NEW MEMBER to get them participating. We are discontinuing the Special requests section. It is very hard to try to send puzzles that fit in personalized categories of members preferences. We are also finding that members don’t read the special requests before sending puzzles. Special requests need to be made by making selections from the library. If you have special needs (disabilities, medical, etc.) those will be honored and published on the special needs pages. Some of you only like to receive puzzles with 500 or 1000 pieces. We now have categories for that on the recipients list. You can now select 500 ONLY or 1000 ONLY categories. Please do not select both ONLY and RANGE categories. You may use the Change preferences or renew links to make changes to your preferences. While you are at it, please make sure that you actually have puzzles in each category that you select. In the past few months members have been receiving puzzles that they have no comparable puzzle to return. You should have 2-3 puzzles in each category that you select. We don’t expect you to purchase a puzzle to return to a sender but we do expect you to have a suitable return for one that you get. You should always return the same size that you receive. If you choose the 500-750 category and a member sends you one within that range, do not return a 1000 piece unless you first make sure they are willing to accept that size (you can check this on the recipients list). The things that will get you in hot water faster than anything are: 1) Not returning a puzzle 2) Sending a puzzle with missing pieces to a member who is not willing to receive them. 3) Sending a poor quality, damaged, or puzzle that is outside of the members preferences. 4) Not filing the proper notice forms. These forms (while time consuming) keep everything running smoothly and the program depends on their use. If you receive a puzzle that you did not get a prior notification for, please let us know immediately. The next puzzle swap meet is scheduled for Apr 15. The deadline to register is Apr 12. To have a successful swap meet, we need time to plan and get as many members in attendance as possible. The San Francisco area has 10 members, you can save a lot of money on postage by attending. If you would like to attend the closest swap meet, please register as soon as possible. If no location is designated near you, you may select one when registering. One way to save money on postage is to use a medium priority flat rate box from the USPS. 11.875 x 13.375. These boxes will hold puzzles up to the size of a White Mountain brand puzzle. Cover the box with brown paper and ship it Parcel Post. This will protect the puzzle and provide tracking and save you a few dollars. I don’t think any member minds waiting a couple extra days for it to arrive. The mailing box can also be reused a couple times. Thank you for your time. If you have any questions. please let us know so that we can help you. A big welcome to all of our new members. You’re in great company here and you will find a lot of great puzzles and folks to share them with. If you start to find yourself a little overwhelmed or confused, you can always place yourself on HOLD. Just remember the basic simple rule for the exchange “when you get a puzzle, you need to return a comparable puzzle within 30 days” there are some other details but if you follow this rule, you will not have any trouble and after a few swaps, you’ll be wondering what the big deal was in the first place. If you are stuck and need help, return this email and we will get you back on track to puzzle fun in short order. 2017 is off to a great start. We have a lot of new members in the last 30 days so there is a lot of opportunity to boost your timeliness points by initiating a swap with a new member and scooping up those 10 bonus points. In 2016 our average was 1 new member every 4 days. So far that average has changed to 1 new member every 1.5 days. That is a huge increase. I think a lot of it is the result of posting the new puzzles donated to the library on our Facebook page and the promotions that we run from that. We have nearly 1400 fans on Facebook and that helps boost our position with Google and the gang of engines. We are the top rated and largest puzzle swap platform in the world, so we can all be proud of that. In 2016, 907 puzzle swaps were initiated, an average of 2.5 per day. We have increased that to 2.94 so far in 2017. I believe it is going to be a great year for the exchange! – This used to be located on the library pages to the right of the photo. Because the libraries are very large and growing, they have become difficult to navigate. There is a new page with a link on the LIBRARY tab of the main menu for REQUESTED PUZZLES. Clicking this link will provide you with a sortable list of Puzzle ID’s, Titles, Requests, and Refusals. Sorting by member name will only provide you with the name of the first member in that column so this is not a good way to sort the list. But rather than sort, you can select the filter button and use the “contains” selection. Then type in the member’s name or city, or state. This will return all puzzles in that column that fit your search. By typing A Gerard into the requested column, about 7 puzzles were returned that I have requested that have still not been sent to me. If you have several library puzzles and enter one name, you could find that that same member also wants one of the others you have and you could get rid of them both in the same package. You have a wealth of resources to find what you are looking for. You can even filter out information. This same sort and filter function also works on the Recipients list and the Transit Board. Refreshing the page will restore the defaults on the page. – This is now a sortable list as well. Let’s say you forgot all the swaps that are due to be returned by you. You can sort by the Destination and find your City, State, and Zip and know exactly the status of swaps. If you are late, it will even tell you the status of your delinquency so that you can address these issues right away. If you want to find out what members to avoid because of tardiness, that is an easy task as well. Once a swap has been complete for 5 days, it drops off the board. – Because puzzles are sent at random and members do not know who is sending to whom, I have added a LAST SWAP DATE COLUMN in front of the name on the recipients list. This date is the last time a member chose this member to initiate a puzzle with. In the scheme of people being left out and not chosen, this can even the playing field to include all active members and make the system a little bit more equitable. You don’t have to use it, but it is there if you want to and provides you with just one more way to select a member to swap with. Adding puzzles to the library has been a huge success and the new members are being encouraged to use it. For those that are a bit more selective, they can choose the ones they want. We have over 400 puzzles in the library and I bet there are an additional 400 that are being circulated around that have not been entered. I would like to ask any of you that have a few extra minutes to add those puzzles to the library after you work them. A lot more of our members are requesting puzzles from the library and it gives you an easy way to select the “right” puzzle to send. When you are looking for a comparable puzzle to return to a sender, a library puzzle that they have selected can always be used as a substitute in case you don’t have a similar one. If you are interested in adding puzzles to the library, please return this email with your request and I will provide the instructions, spreadsheet, and labels for you to use. If you come across a puzzle that is already in the library but does not have an ID label on it, you can use one of the duplicate labels and simply write that number on the label and attach it to the box. Please let me know that we have a duplicate in the system by using the report link on the library page for that puzzle. When a puzzle needs to be retired, we simply cross out the number and send it on to a Donations only member and that takes it out of circulation. Again, please let us know before you retire a puzzle so that the library can be noted. I am also looking for some more Regional Librarians. Ultimately, we should have 8 in the US, and probably an equal number in Canada. Basically, one for each postal zone or province. These members receive donated puzzles from members and non-members, assemble them, if they are in good condition and complete, add them to the library, and then send them out into the membership. They receive a one year free membership for doing so. To be considered for this position a member must maintain a 5 rating in both the Timeliness and Quality categories and be able to accept ALL categories of puzzles. If you are interested in this program, please return this email with your interest. Not only will you get swaps initiated with you, but you will receive donation puzzles at random. So having free time is going to be important. You may be on hold, but you will only get donated puzzles and are required to add them to the library and send them on upon request by members. Will not trade members are not eligible for this program. That is a lot of information to digest for one email. I will add this to the Newsletters page so that you can refer back to it at a later date. Have a great day and enjoy your puzzles. Remember the swap meet deadline today. It has been a fantastic year for Jigsaw Puzzle Swap Exchange. We are now the worlds largest puzzle swap platform with over 1300 Facebook followers from all across the globe. We’ve had a record number of new puzzle enthusiasts join the exchange (10 are currently NEW). The library has 410 nice puzzles and there are probably an equal number that have not been officially entered into the library but still are being sent between members. The puzzle swap meets have been a huge success where they have been held and members have gotten to know one another and trade more often if they wish. Past newsletters are now archived on the website for easier reference. Some of you have been with us since the very beginning and some are coming back after a time away. This is our fourth Christmas and every year, things just get a little better. We are approaching our 1800th swap, nearly half of them occurred this year alone. It will take 45 swaps before the end of the year to reach it. We might as well have some fun with it and make it more interesting. There are currently 92 active members, and another 45 that are on hold, it will take 33% of you to reach that goal. For each member who initiates a puzzle swap or donation (numbers 1756-1799) , you will receive a bonus of 2.5 points added to the traditional 5 points (or 10 for swapping with a new member). The member who mails the 1800th puzzle, will receive a free puzzle from the IN-STOCK LIBRARY as the final bonus. Once we get to swap 1790 the transit board will not record any more swaps until the 1800th puzzle has been sent so that everyone has a fair chance of winning the prize. If you are new or your timeliness rating points are less than a 5 you will have even more reason to participate. The library has been the biggest improvement this year. It allows members to pick and choose the puzzles they want and do not want. We are seeing that members who request puzzles from the library receive more swaps than those who do not. What’s not to like about getting more puzzles? If you want more puzzles, make more requests! We also need more puzzles added to the library. If you have a puzzle that you think others would want, please use the form or spreadsheet and add it so that others can make their requests. Wishing everyone a truly great holiday season and a wonderful New Year! The start of the Holiday Season is upon us and everyone will be super busy with family and friends! The last thing any one needs is more added stress. One thing that we like to do in December is send puzzle donations rather than exchanges. It is the exchange’s way of celebrating the holidays, spreading cheer, and making someone’s day without requiring any more of them. It is a great way to downsize the number of puzzles you have and maybe pass one along to someone who has been waiting on a certain puzzle. What better way to spend time with family at the holidays than assembling a holiday puzzle? Share a plate of cookies, a circle of snowmen, or even a wintery holiday scene. Great fun and it will give every one a warm and fuzzy feeling! We had two November puzzle swap meets. The areas were in Overland Park, KS and Tempe, AZ. Both were successes. From the sounds of it everyone came away with 3-5 puzzles each. The great part is you get to meet one of the names on the journey sheet that may have sent you puzzles in the past and you can makes swapping more frequent if you want with these members nearby. The best part though is that it will save you money in postage and we all know how expensive they are to ship. Your timeliness rating points will be averaged on Dec 31. Whatever averaged score you have on Dec 31st will be the starting score for 2017. If you have fallen in points, you can increase that score by initiating puzzle swaps or donations. Remember, you get 10 points rather than 5 for choosing a new member and there are a lot of new members on the list. If you don’t have a 5 rating, you should strive to increase your rating by initiating swaps before the end of the year. With the holidays coming, we suggest getting started early. There are going to be a handful of new puzzles added to the library this week. Make sure you check out the list on a regular basis and make your selections. Those members who request puzzles get more swaps. If you are in possession of a library puzzle (with an ID # on it) please check the library to see if anyone has requested it and then keep those library puzzles moving. We also have a new members welcome page which may be useful to longtime members as well. The next puzzle swap meet will be scheduled for Jan 21, 2017. The new registration form will be published by Dec 1st. You will be able to register for all 4 events at one time if you wish, but at least two members must register for one location to get an event scheduled there. Now that Hurricane Matthew is no longer a threat to the southeastern seaboard, we are back to trading puzzles and making things better. There are a few changes that we are making to keep things running smoothly. You will notice some changes to the puzzle shipment forms. These now require tracking numbers and information about the puzzles you are sending and returning. This information will ultimately help your recipient prepare your return puzzle if they know what you are sending to them and what you are requesting in return. These now have fields for the number of puzzles you are sending, the number of pieces of each puzzle, and the library ID numbers if there are any. If there are no ID's you can enter N/A rather than 0000. But these fields are required. As ID's are shipped, they will be added to the library and it will be updated daily. We discovered that since there are several copies of some puzzles out there, one of our active library members has earned the prestigious title of "Queen of Duplicates" as she had copies of 3 different puzzles at once. For this reason ID numbers are required on forms and you should always check the library before sending any library puzzle to make sure you do not send it to someone in the DO NOT SEND TO column or on the journey sheet. We are finding that there are too many delinquent members with swaps. Unfortunately, leaving these members active on the recipients list allows them to continue getting puzzles when they do not return them in a timely manner, if at all. Therefore, effective immediately, if you receive a 3 week FINAL NOTICE, your name will be removed from the recipients list until you return the owed puzzle. If you owe more than one, you will need to return them all before becoming active again. It takes a tremendous amount of time to run this exchange. Sending reminders and notices are a big part of that maintenance. When you recieve a notice or request for delivery status, please do not ignore it. Currently there are a few puzzles that are on the transit board nearing 60 days, which is excessive. One of these swaps resulted in both members being suspended until the issue is resolved. In addition there was one swap recently that if something could go wrong, it did, and all in the same swap. Had the participants followed the instructions and responded in a timely manner, half of what happened could have been avoided. If anyone is having trouble following their swaps, I can provide you with a scaled down version of the administrative spreadsheet to track your incoming and outgoing swaps so that you can stay on top of the activitiy. You can request this by responding to this email with your request. Library puzzle requests and ON HOLD members. Many more members are utilizing the library these days which is great. We are finding that the members who use it are getting more puzzle swaps than members who don't. Therefore, if you would like to increase the number of puzzle swaps you get, make sure you keep a selection requested in the library at all times. There is a link to all the new puzzles that have been added to the library over the last 30 days on each puzzle swap notice that is sent out. Many members are on hold periodically. We do not remove their library requests unless they are suspended or terminate their membership. Requests are in order request date. Therefore, the first name on the list has been waiting the longest. If you find that a member has requested a puzzle that you want to send but they cannot be found on the recipients list, you should skip over their name and go to the next one on the list. Sometimes, a member will be outside your shipping area or in another country. Since there are duplicates in place, you can select any member that is waiting in your preferred shipping area. If you have a library puzzle that you have worked, please check the list and send them off to members who have requested them. We just lost a long time member this past week because the wait time for requested puzzles is too long. We are using an updated puzzle journey sheet with all puzzles. If you have a puzzle with an old sheet, please print out a new one and replace the old one prior to sending it out. Please make sure you add all the names from the library that have had the puzzle and NEVER NEVER NEVER send the puzzle back to a member who is on that list. You will be required to send a replacement puzzle OR lose a Quality Rating point which you can never regain. You will now see that we have added some Regional Librarians to help add puzzles to the library. You can donate puzzles to these members and they will do all the work to add them to the library if you do not want to do it yourself. Please understand that these are donations and you should not expect a return because the librarians have to assemble the puzzles prior to sending one out. You may still swap with these members but you will need to follow the standard procedure of making sure you send them puzzles in their preferred specifications. Members must ensure that they check the recipients list prior to mailing a puzzle. If the member is not listed, they are either on hold or experiencing other membership issues (expiration, suspension, etc.) The Special requests page has been updated and addresses have been removed. Anyone that is listed on the special requests page should use the library to request the puzzles they would like. We are finding that the special requests page is not being utilized as it should. The special needs page will remain in place since we have members with disabilities. This will take place on Novemeber 19. If you are interested in attending in your area, send in your registration as soon as possible. Many members wait until they see some one else attending before registering. Locations cannot be scheduled unless we have two or more members attending. Many areas are now reaching large numbers of members within traveling distance. San Francisco, Boston, Los Angeles, etc. Don't wait until the last minute, it will cause your area to be cancelled. Swaps for 2017 will be scheduled quarterly because it is a lot of work for so little participation. Anticipated dates are Jan 21, Apr 15, Jul 15, and Oct 21 as these should not conflict with national holidays. The server migration is complete and everything is working as it was before. If you were waiting for notification so that you could initiate or return puzzles, this is it. There are several folks that have hit the 2 week reminder stage of a swap and you should check the transit board to make sure you are not on that list. You can find this information in the Location/Status column. There are two statuses, 2 WEEK RETURN NOTICE, 3 WEEK FINAL NOTICE, and MEMBER DOWNGRADED (which no one should be in). Those members who had swaps in progress while the migration was taking place have been given an extra 7 days to complete their swap. Several reminder notices have gone out and a few final notices, so please take a moment to check the status of any swaps outstanding and help us get the transit board updated and swaps completed. Please keep in mind that reminder notices are a courtesy and should not be relied upon to keep your membership in compliance. Sending notices requires extra time and expense at the administrative level that could best be used in marketing to bring in more members for you to trade with. Please make it a point to monitor your swaps and meet your return deadlines as those 2 and 3 week reminders also cost you timeliness points. After a swap has been in complete status for 5 days, it drops off the board, so if you don't see a swap, this is probably the case and everything is OK! If you see TRACKING NOT FOUND, please let us know if the puzzle has been received and the date delivery was made. Many times we will request that you check the puzzle in upon receipt in an email marked high priority. Rather than sending a long email that many will not read due to time constraints and then get lost in the jungle of archived emails, we have created a series of Newsletter pages. This way, important information and changes can be retained for reference and future reads at your convenience. You will find the newsletters under the LIBRARY TAB of the menu bar. As time permits, we will retrieve previous newsletters and add them to the page. Check the recipients list and Donations Only list to find your name. If you are not on either of these lists, you may have placed your membership status on hold for vacation or another reason. If you didn't request a hold, then you may be delinquent. You can use the change preferences form to return to active status. If we recieve a hold removal request and you are delinquent, you will be required to return puzzles to all senders prior to returning to active status. We will provide a list of those delinquencies for you. We have a few members that are delinquent in puzzle swaps and this is a big problem. The exchange is run on an honor system. Meaning that when you join and you agree to swap puzzles, you must mail back a puzzle as soon as possible and at least within 30 days to stay in good standing on the recipients list. One of the ways that we weed out members who do not comply is when they are sent their first swap, their name is removed from the recipients list until they return a puzzle to the sender. Once that has been confirmed as mailed, their name is returned to the recipients list so that they can continue swapping puzzles. If they do not return a puzzle, the name is not returned to the list because they are in non-compliance with the rules. After the first swap, if a member becomes delinquent, their name is removed from the recipients list until they return ALL delinquent puzzles. Currently, we have one member who is delinquent on 5 puzzles and they don't respond to messages. We must assume that member has no intention of complying or returning puzzles. To avoid being a member who loses puzzles to non-complying members, you should use the tools we provide to help you. This means making the right selections when you choose a member to swap with. You MUST use and/or check the recipients list. Many members are on vacation hold for the summer. The member MUST be listed in the recipients list as these are the currently active members. This past week we added a DONATIONS ONLY list below the recipients list. It was discovered that members were not paying attention to who was willing to trade and who was not, so they would s send a puzzle expecting a return only to find that the member does not trade. Sometimes it was a library puzzle that was sent which means there is no guarantee that the puzzle will ever be recovered to the membership. Make sure you are sending the right kind of puzzle. If you send a 1000 piece puzzle to a member that only wants a 500, they are going to send it back to you AND they are going to report you for not following the directions. The recipients list can be sorted and filtered so that you find the absolute best member to send any kind of puzzle to. This is an absolute fool proof way to find the right member for the puzzle you have. Additionally, you should check the members rating points and check the transit board to see if they have notices that could potentially cause a delay in returning a puzzle. The puzzle library is only for members who choose to swap. If you do not trade or are delinquent, you cannot use it. If you have puzzles requested and become delinquent, all the requests will be deleted. This ensures that members do not send puzzles out that may not be returned. When you request puzzles, you must use the email link that is provided, unless the link does not work with your computer system. There are a few members who have issues with email where it does not work properly. The forms library has been updated. Shipping labels and Puzzle Journey Sheets are now available in .pdf format so there is no longer a need to change settings and specify sizes and formats. As we add forms, they will be located here. In addition, there is a link to download the Puzzle Donation spreadsheet and instructions on how to submit it with photos, and also information on applying ID labels to your puzzle boxes. Please use the proper form to change your preferences. Remember that when you add a puzzle category, you must select all the ones you want otherwise the existing ones will be overwritten. Do not send an email with change requests as it can get lost in the hundreds of emails that we get daily. Before mailing a puzzle that has a puzzle journey sheet, make sure that the intended recipient's name is not on the sheet. If it is, it means that they have already had that puzzle. Imagine how you would feel if you got a puzzle back that had your name on the sheet. Also, check the library to see if a member is on the DO NOT SEND TO list. We have several puzzles that are duplicates. A member could be one the sheet for one but will not necessarily be on the list for the other. Some members do not include library numbers when they send in the shipment notices, so we cannot know who has had which puzzle. Check the library from time to time and make sure you send in a report to let us know that you have had or do not want certain puzzles. We award 10 points rather than 5 to the member who is the first to send a puzzle to a new member. This serves two purposes. 1) It gets our new members welcomed into the trading system and 2) If you have fallen in Timeliness points, it can add an extra cushion or increase your average to bring you up to a higher level, which means more people will trade with you. Puzzle enthusiasts just like you who have accumulated puzzles over time that we want others to enjoy. Rather than selling them at garage sales, we would like to share them with people that want them. Puzzles are a big part of our life. The entire family would sit and enjoy each others company while working together. Puzzling can also help strengthen mental skills and keep the brain healthy.